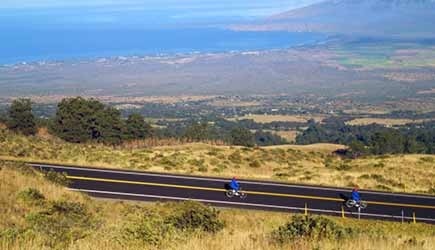 Take a ride to the 10,000 foot summit of Haleakala National Park, and experience the longest downhill bike tour anywhere in the world! As you cruise down, you will have panoramic views into the crater. You will start just outside the park boundary at an elevation of 6500 feet, and then cover the 26 miles to the ocean in Paia. There is a Summit Sunrise tour and a less-expensive Sunrise from 6500 Feet option. Both include the same length of biking. With Maui Mountain Activities ATV Tours, explore the West Maui Mountains and you’ll view beautiful waterfalls from a distance. Next cruise down to ride alongside the great blue Pacific Ocean. The experienced and friendly guides will take photos of you and you’ll have memories that will last a lifetime. 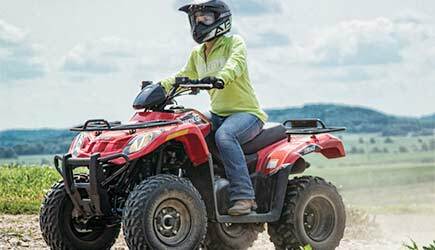 Spend the day riding through an actual working cattle ranch. Mendes Ranch is nestled in the heart of West Maui. You will descend upon crashing waves overlooking pristine shorelines. At the end of the morning ride (or the beginning of the afternoon ride) you may enjoy a western-style open pit BBQ with Alan Mendes’ own marinated “Azeka-style” ribs, generous portions of rice, baked beans, potato salad, gourmet cookies, and more for an additional cost. Mendes Ranch offers two different tour times. 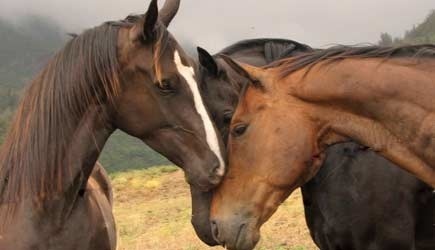 Makani Olu Ranch is a working cattle ranch and equine training facility in Central Maui. You will have the opportunity to ride through diverse agriculture at the Maui Tropical Plantation and then up into scenic Waikapu Valley. Enjoy a unqiue perspective of Haleakala, the north and south shorelines and views back into the heart of the West Maui Mountains. Waikapu stream flows year round and riders cross the stream twice on their ride. Makani Olu Ranch emphasizes small groups and providing a personal touch and the aloha spirit. 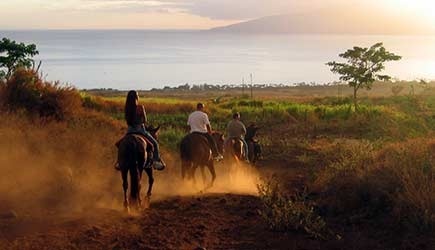 Nestled along the slopes of the West Maui Mountains, Lahaina Stables offers 3 different rides during the day. We recommend the sunset ride, because it is the most beautiful time of day as you watch the evening colors paint the ocean and highlight the islands of Lanai and Molokai on the horizon. 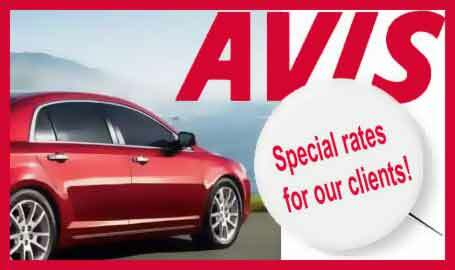 This ride is probably the best choice for experienced riders as there is more freedom to cantor. 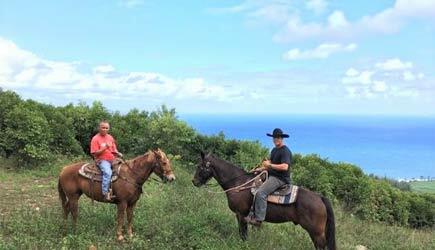 Explore the West Maui Mountains by horse or mule rides! Ascend approximately 2500 feet in elevation, and see waterfalls from a distance. Also, experience the pristine and spectacular coastline of the Pacific Ocean. This adventure will immerse you in the tranquility of the island’s native rainforests and as well as the beauty of Maui’s stunning waters. 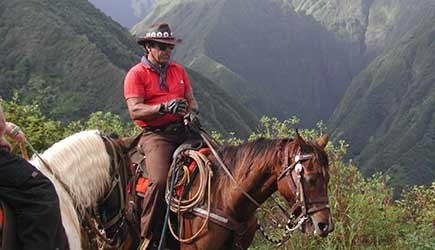 The trail guides ensure a fun and amazing adventure as they teach you about the history of Maui. Hike into a unique valley with a variety of waterfalls, where there are large, clear swimming holes under each of the falls. There are waterfalls ranging in height from 10 to 40 feet on two different streams, and there are several spots where you can jump safely from rock ledges into the waterfall pools below. The naturalist guides will teach you about Hawaii’s wonders and you will end the hike with a natural “shower” under a Hawaiian waterfall. This Short Waterfall Hike will take you to two waterfalls on a one-mile walk in the lower portion of this beautiful rainforest valley. This is the shorter version of the popular East Maui Waterfall Hike, and it is perfect if you’re time is limited, you don’t want to walk TOO far, or if you have younger children. Swim under 20 foot waterfalls and jump off rock ledges into the refreshing pools if you are really adventurous! On the Hana Waterfall Hike you will completely circle the east side of Maui on the way to and from the day’s premier hiking stop at Oheo Gulch. 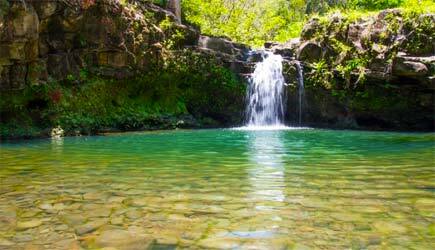 This area is known as “The Seven Sacred Pools” but as you hike you’ll discover there’s a lot more than 7 pools! You’ll trek through bamboo forests with views of many smaller waterfalls, one 200 foot waterfall and reaching the spectacular valley near the bottom of 400′ Waimoku Falls! 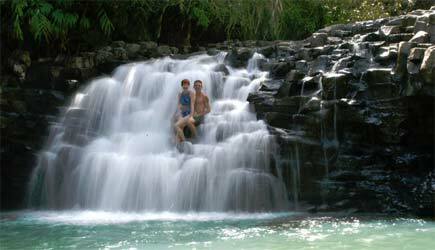 You will also experience a variety of waterfall and ocean overlooks on the scenic “Road to Hana” and beyond. 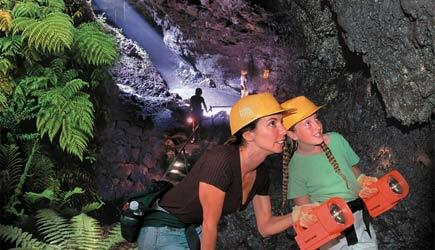 This is a full-day excursion you will remember forever. 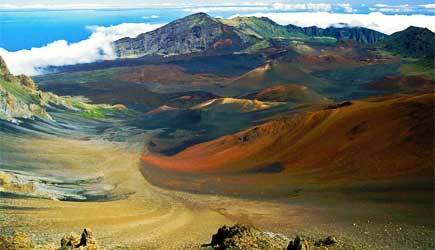 Haleakala Crater is a must see when visiting Maui. From the 10,000 foot summit the views of the Big Island, West Maui, Molokini, Kahoolawe, Lanai, and Molokai are astounding. On the Haleakala Crater Hike, you will experience two different trails at two different elevations with completely different environments. The first trail starts at the summit and you’ll hike for two miles. The second trail is at the 8,000 foot elevation and you will hike for two miles on a lava lined trail with rare native plant species. 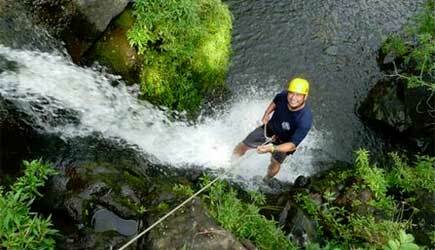 Rappel down cascading waterfalls and jungle walls into a rainforest canyon. After you arrive on property, you will gear up and hike a short distance on rainforest valley trails. Your knowledgeable guides will train you on how to use your harness and rope, then you will practice basic rappelling on a 60-foot jungle cliff. Your next stop is a 50-foot waterfall into a natural pool, and your final “rap” is a 30-foot waterfall. Start your day with a Hawaiian sunrise from the 10,000 ft summit of Haleakala National Park. 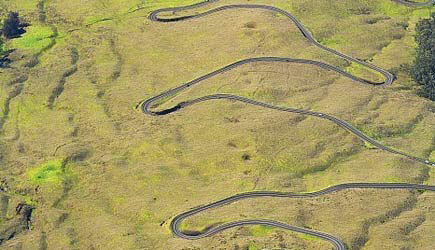 Then cruise down the 21 switchbacks that lead you to the beginning of the 5-line Haleakala zipline tour. Experience an Indiana Jones swinging bridge, over 90 foot drops and canyons, Maui’s only pendulum line, and through a forest of eucalyptus trees. 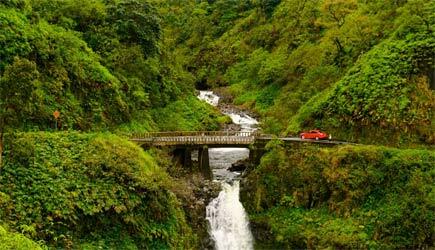 Enjoy the hairpin turns and one lane bridges on Hana Highway. Stops include Ke’anae, Waikani Falls, a fresh-water pool under a cascading waterfall, or take a dip at a black sand beach. Once you arrive in Hana, explore for about an hour Maui’s own “Wonder of the World”, the Ka’eleku Cavern that was created by Pele, the Goddess of Fire. Choose your own adventure on the Road to Hana! The entire family can enjoy the ride and no one needs to navigate the hairpin turns. 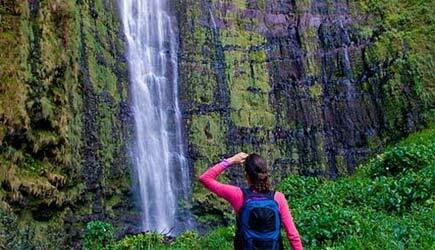 See the natural beauty of Maui, and learn the history and stories throughout the journey. Holo Holo Tours offers 3 private tours that can be customized to your vacation needs!